Ever wondered how fast you can use up 5,250 rounds of .22 LR? Here's your chance to find out. 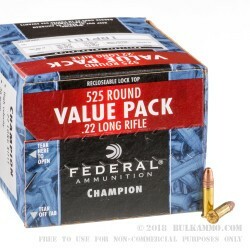 Grab this bulk priced case of .22 LR ammunition from Federal and go target shooting or varmint hunting. These cartridges fire a light 36 grain copper plated hollow point bullet at a muzzle velocity of 1,260 feet per second, delivering deadly expansion against small game such as squirrels, rabbits, or groundhogs. This ammo is also cost-effective enough to be used for target shooting. 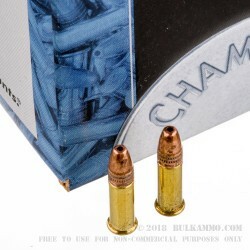 These cartridges come packaged in ten boxes of 525 rounds each. They are loaded in Anoka, Minnesota and use rimfire-primed brass cases. Federal is a division of Vista Outdoor (which also owns Speer, Bushnell, and many other notable shooting brands) and one of the top ammunition manufacturers in the US. I be a plinking all day long. feeds and fires great outta my SW M&P15-22. Good price and super fast delivery. Q: I am new to shooting, and would initially like to buy a lot of rounds for practice range shooting. For 22 LR, I see different attributes like hollow point vs solid and high velocity vs standard. How do those items factor into practice shooting? A: Your plan to practice a lot with 22LR is a very good one. For your purposes - if you have a semi-auto - high velocity is the better choice, because it will function better in semi auto 22 handguns and rifles. 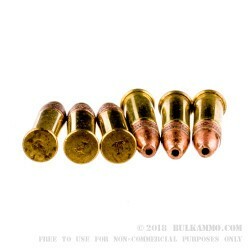 Bullet design does not have much of an effect on punching holes in paper for practice purposes, but copper plated or copper washed bullets are a good choice for high volume shooting because they will reduce barrel fouling. If you have a semi-auto, you should try smaller amounts of several different types of ammo to see which one works best in your weapon before buying a very large amount. Q: Are there any special storage requirements for such a large number of rounds? A: Not really - this much ammo takes up about the same amount of space as two decent-sized shoeboxes. Keep them in a cool, dry place, and the ammo will be fine. Q: How does this ammunition differ from regular federal bulk ammo? A: This is a case, or ten boxes, of Federal bulk packaged .22 LR ammo. Q: What is FPS for this ammo. 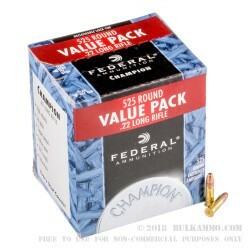 A: Federal Champion's 22 LR 36 gr CPHP (part # 745) has a muzzle velocity of 1260 FPS.